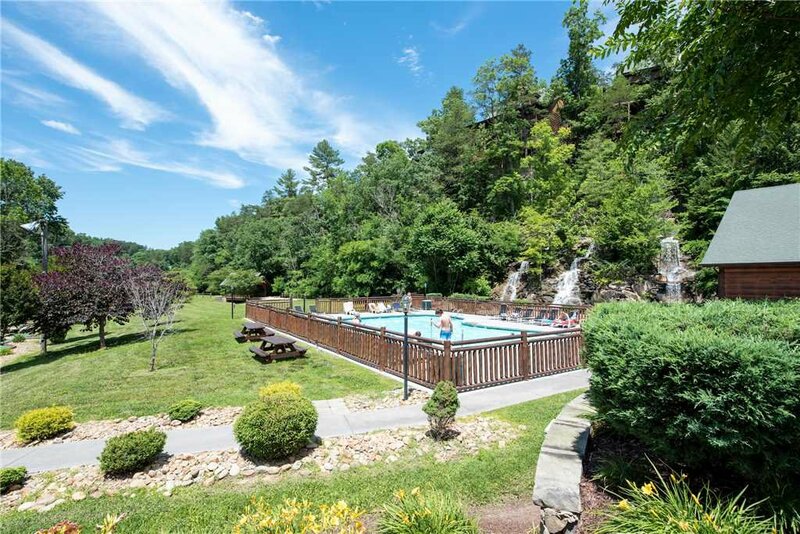 With amenities that include an outdoor hot tub, an indoor jetted tub, a pool table, air hockey, and free WiFi, Appalachian Dream is tailor-made for a fun-filled family vacation. 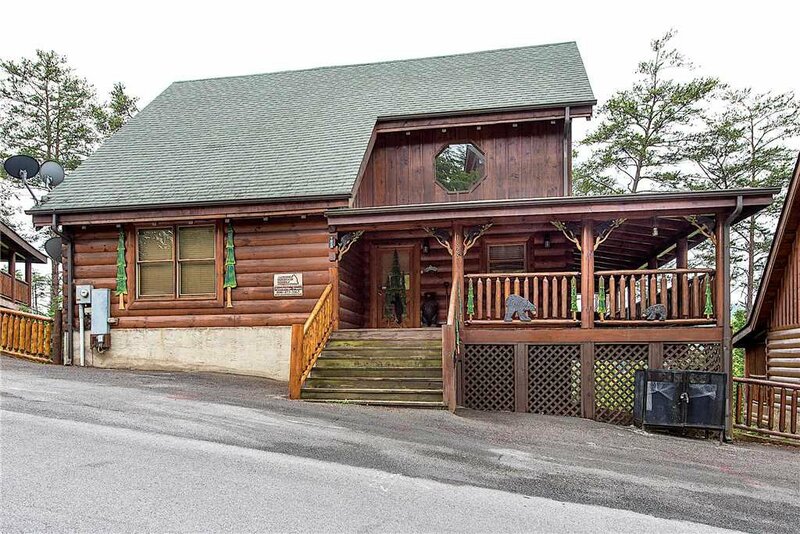 Add to that free access to 2 swimming pools and a location close to the attractions of both Pigeon Forge and Gatlinburg, and you’ll see why it’s a dream cabin come true. 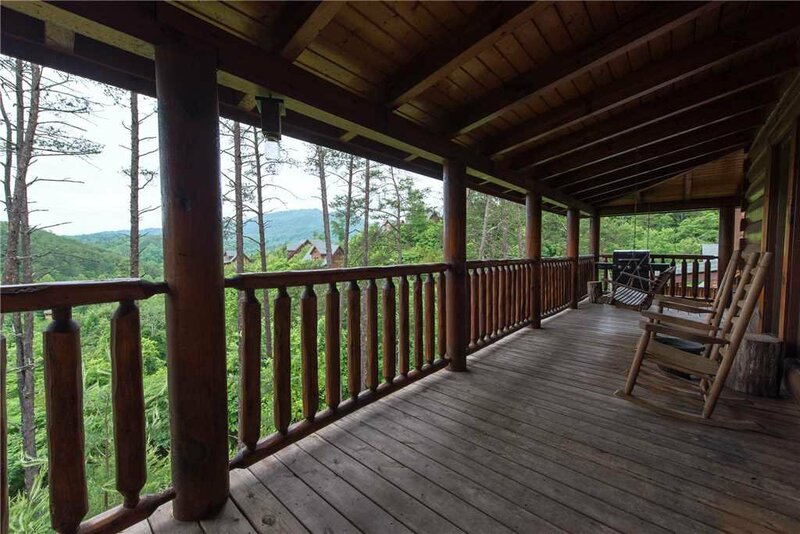 Appalachian Dream looks exactly as you’d want a Smoky Mountain cabin to look, with a large wraparound covered deck, lustrous wood-planked floors and walls, and a beamed cathedral ceiling. 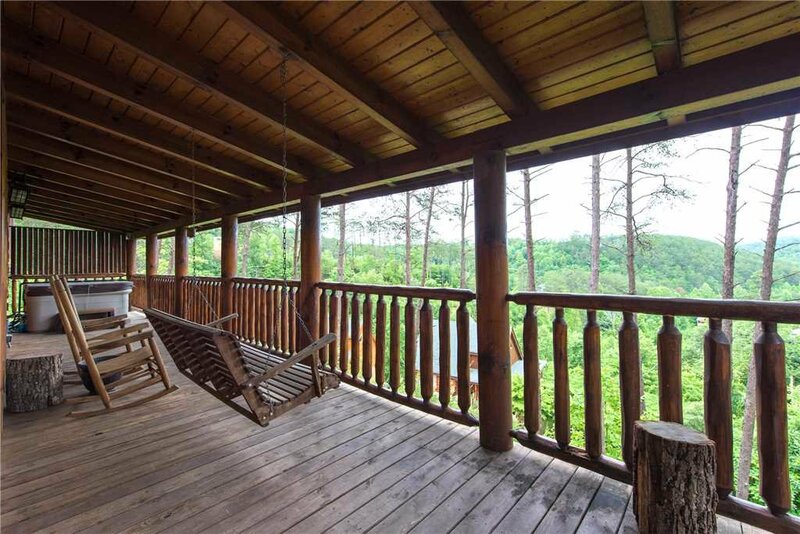 Furnished with plenty of rockers, a swing, and a picnic table, the deck lets you make the most of the leafy surroundings. 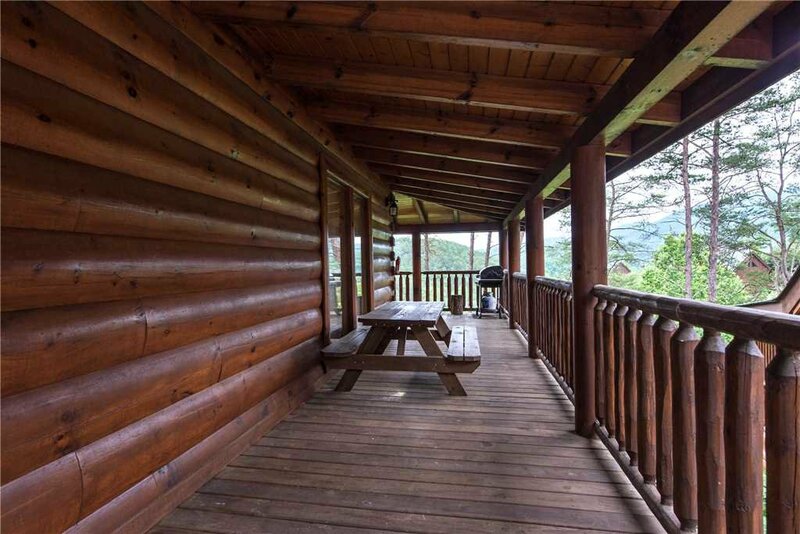 There’s a gas grill so that you can cook as well as dine alfresco; the sound of the mountain breeze rustling through the trees is the ideal background music. 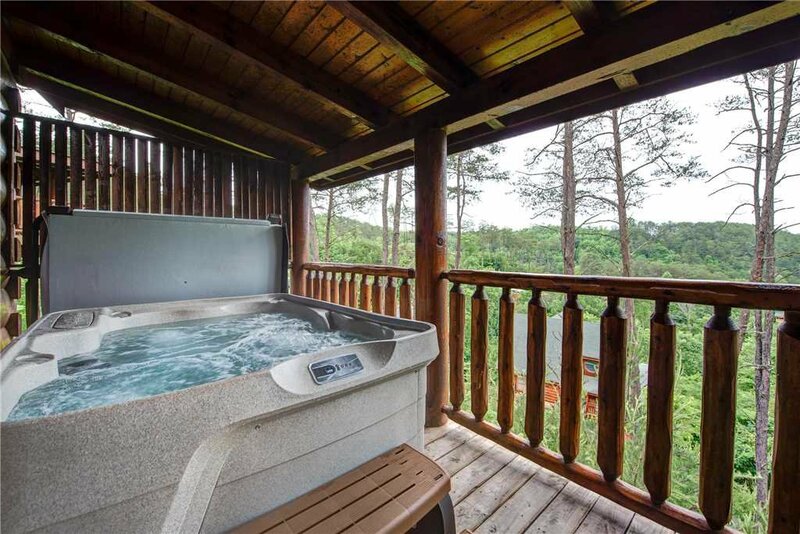 And while a soak in the hot tub is a pleasure anytime, it’s especially wonderful at night, when the moonlight casts the deck in a silvery sheen and the owls hoot in the woods. 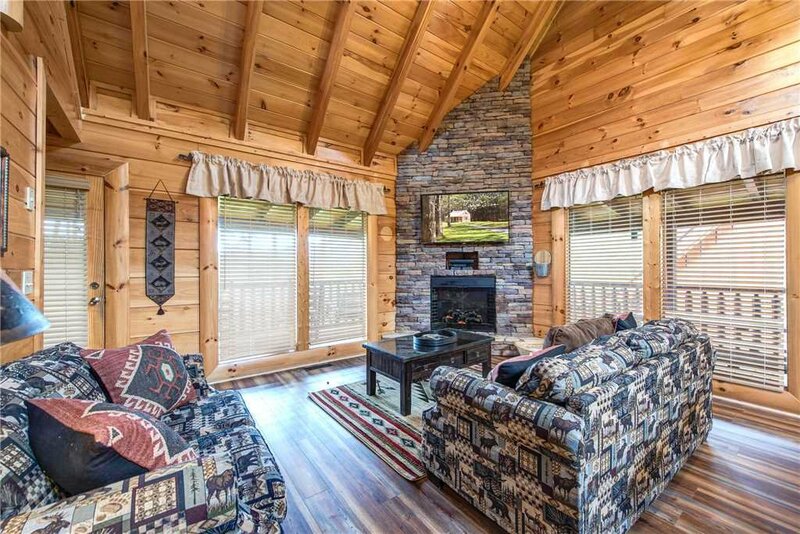 Picture windows enable you to admire the scenery even when you’re relaxing in Appalachian Dream’s great room. 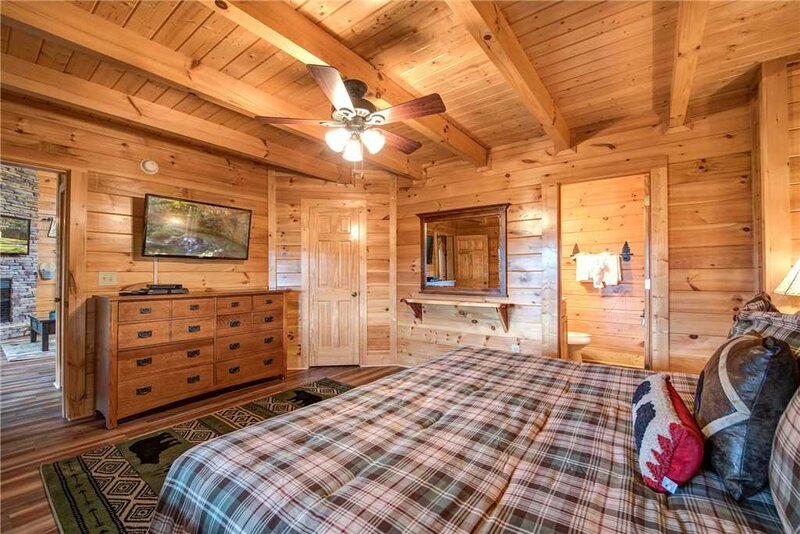 Two couches provide plenty of room for everyone to sit back and watch TV. 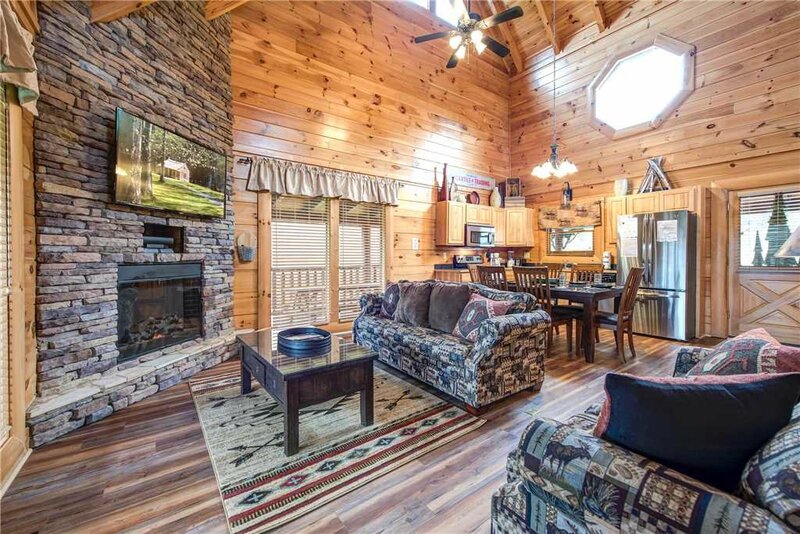 In winter the stone-surround fireplace is sure to be a favorite spot for gathering around. 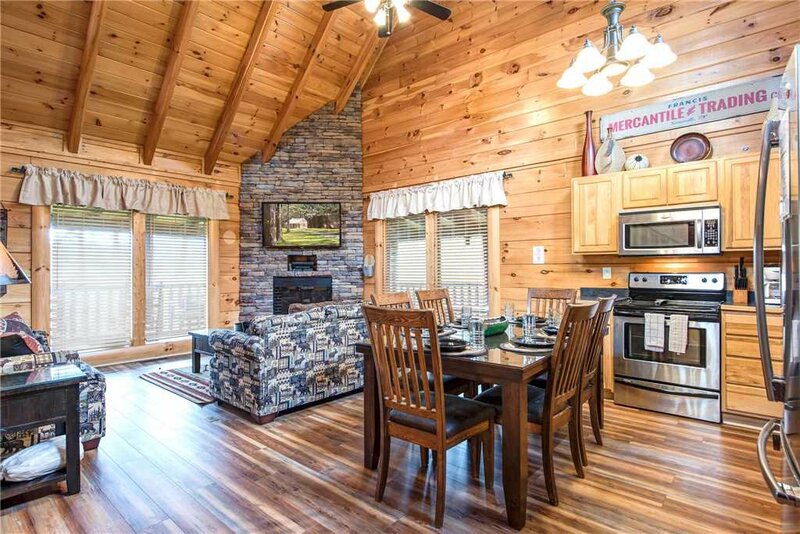 The great room encompasses the dining area and the kitchen. 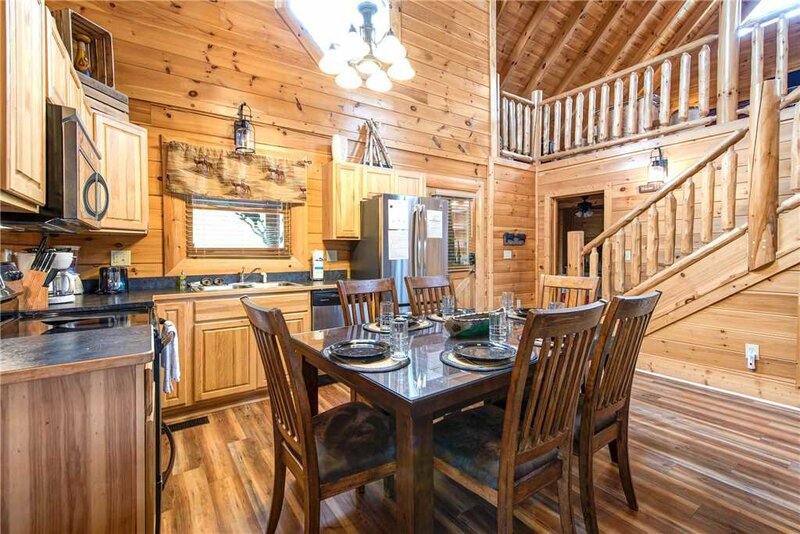 Six people can sit at the dining table, and the comfortable chairs encourage lingering. 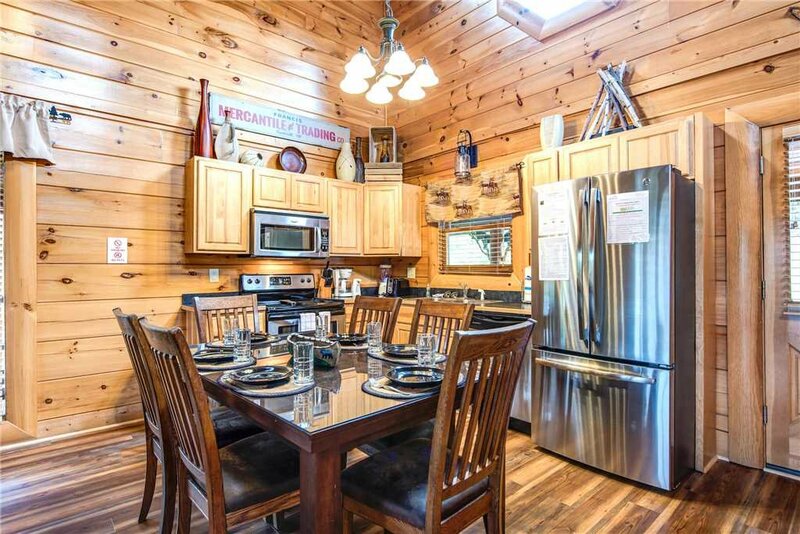 With its gleaming stainless-steel appliances, the kitchen will spur your culinary creativity. 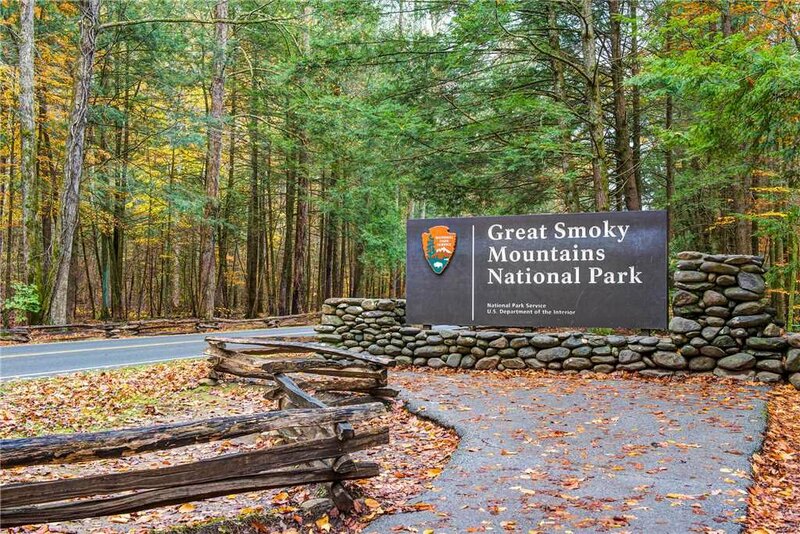 And even if you eat your main meals at the numerous nearby restaurants—everything from barbecue to sushi is within a 15-minute drive—you’ll appreciate having a coffeemaker for your wake-up cup, a fridge to keep juice and wine cold, and a blender for whipping up smoothies during the day and margaritas at night. 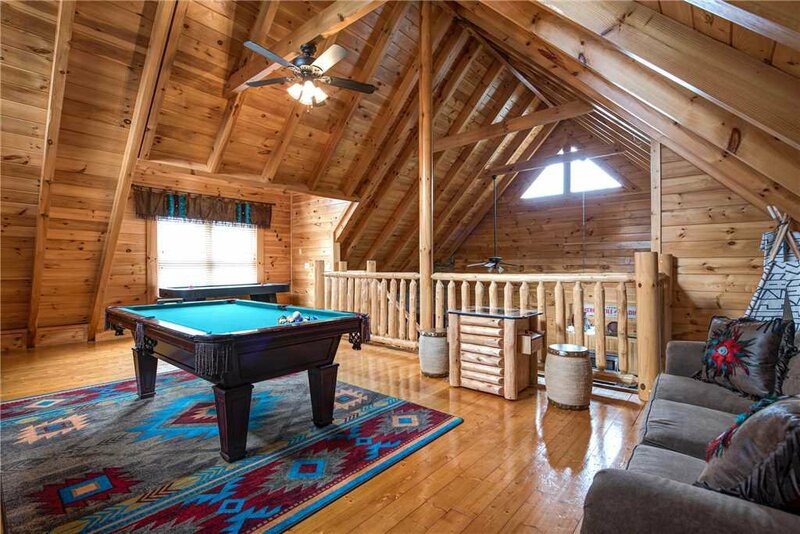 Appalachian Dream’s loft serves as a game room. 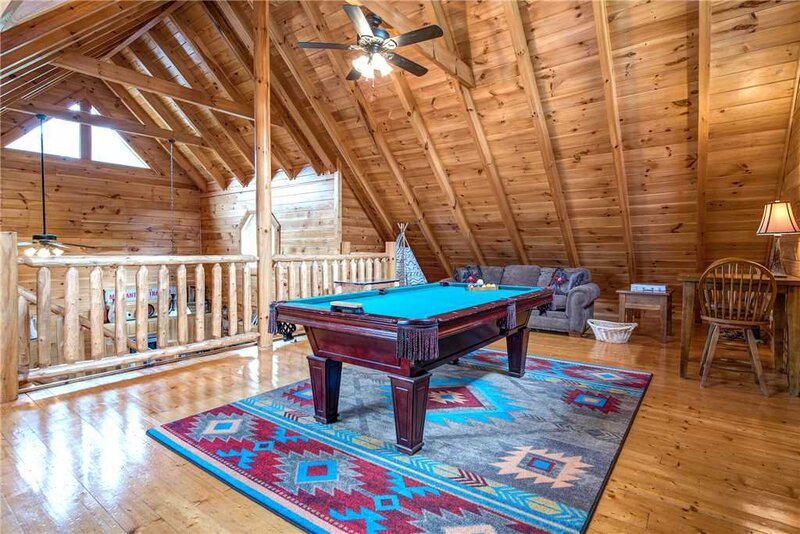 While the full-size pool table takes center stage, there’s an air-hockey table as well, plus an arcade table and even a tepee for the kids. 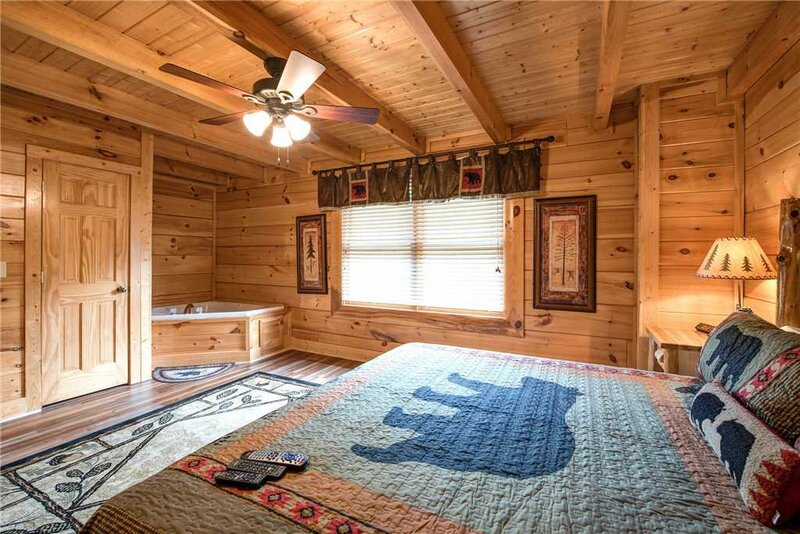 The plush roll-arm sofa opens into a bed for 2. 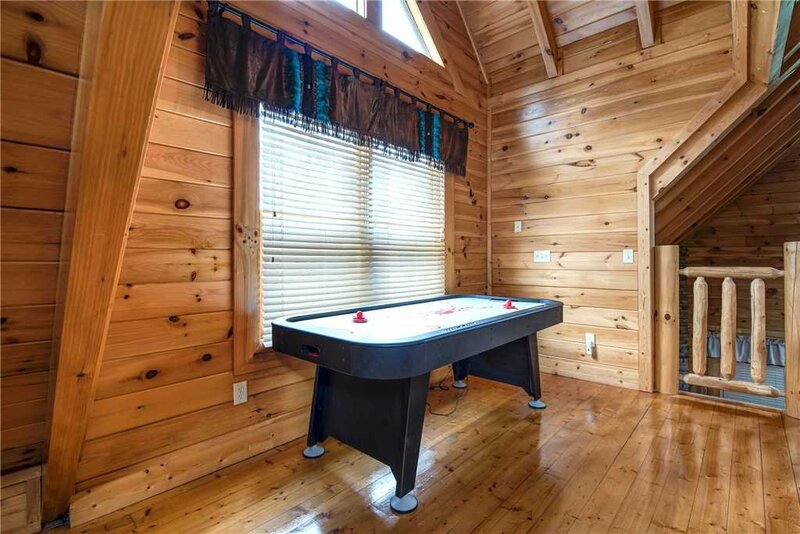 The kids will clamor to sleep here so that they can brag about having air hockey and an arcade in their bedroom! 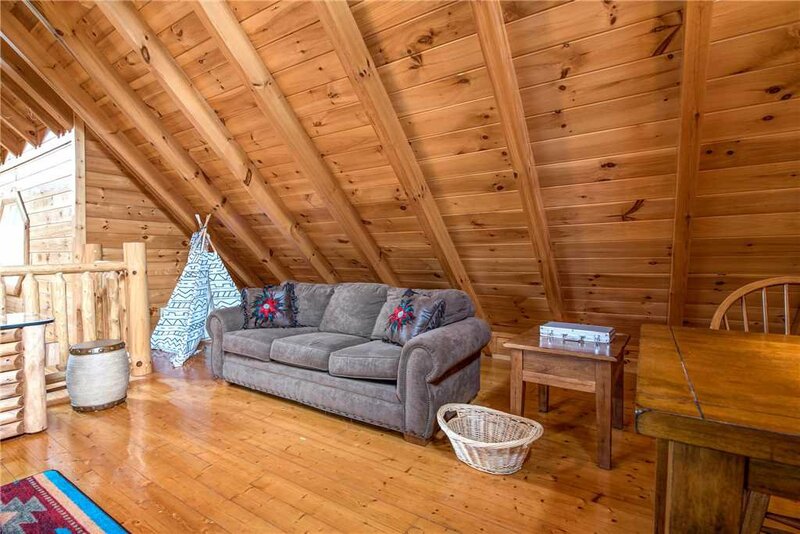 One of the great room’s sofas opens into a bed for 2 as well. 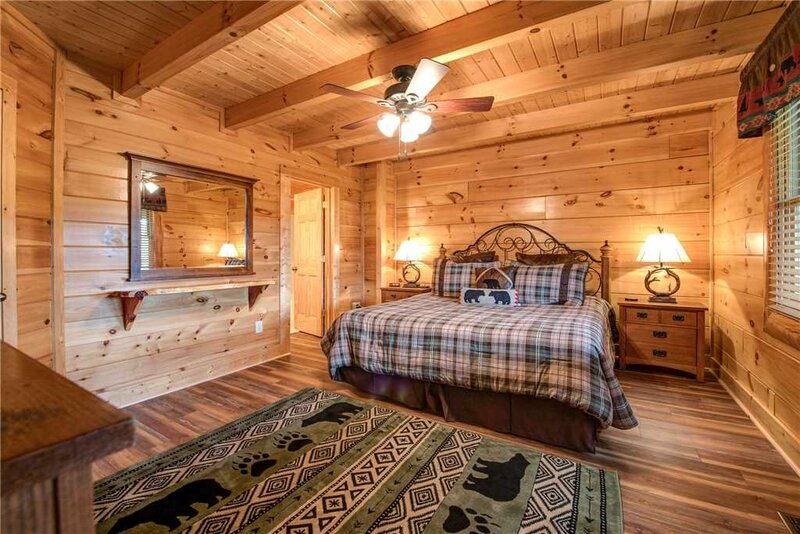 As for the 2 official bedrooms, each has a lofty king-size bed, a flat-screen TV, and a private bathroom. 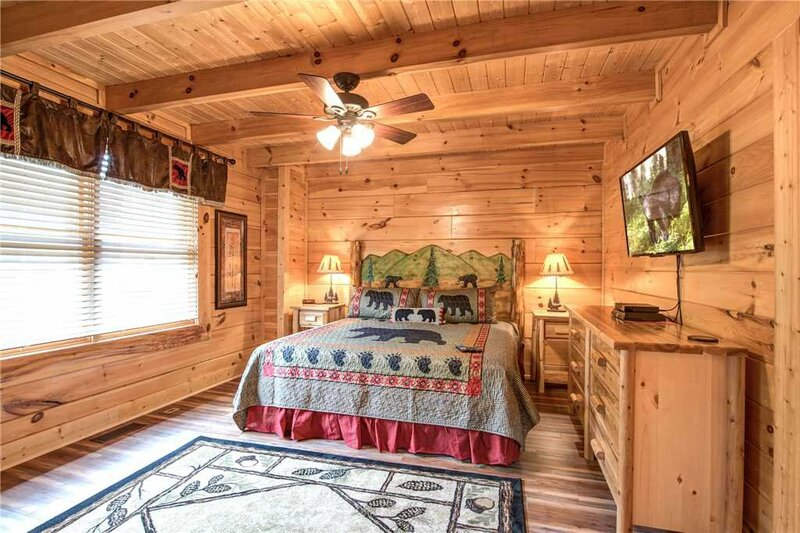 With 2 master bedrooms, Appalachian Dream can host 2 couples as comfortably as it can a family. 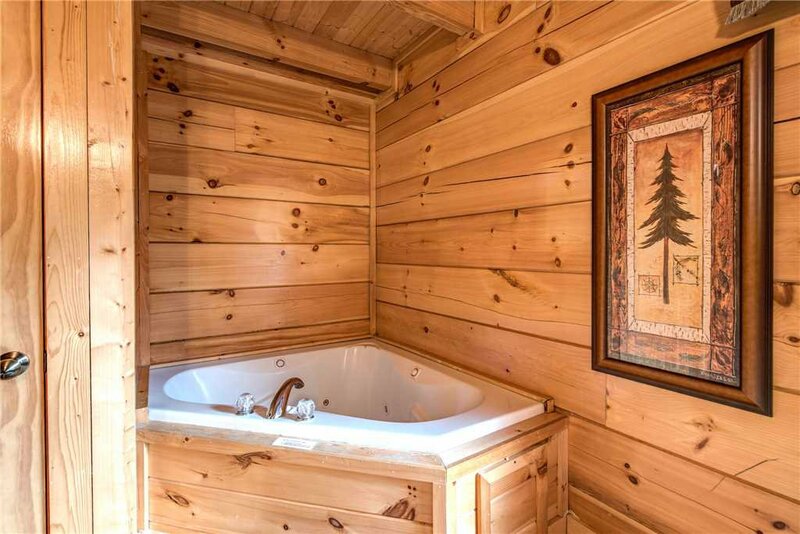 One of the bedrooms has a bonus feature: a jetted tub. 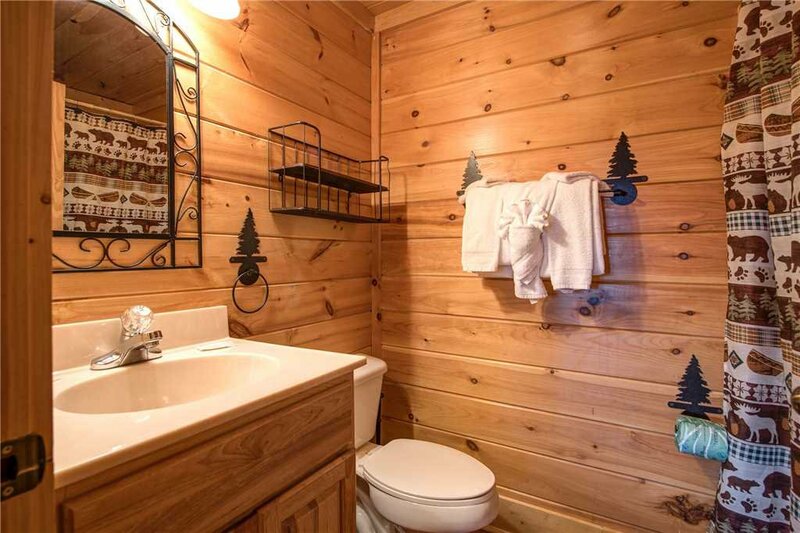 When you return from hiking, skiing, or covering every inch of Dollywood, you’ll really appreciate soaking among its massaging jets of water. 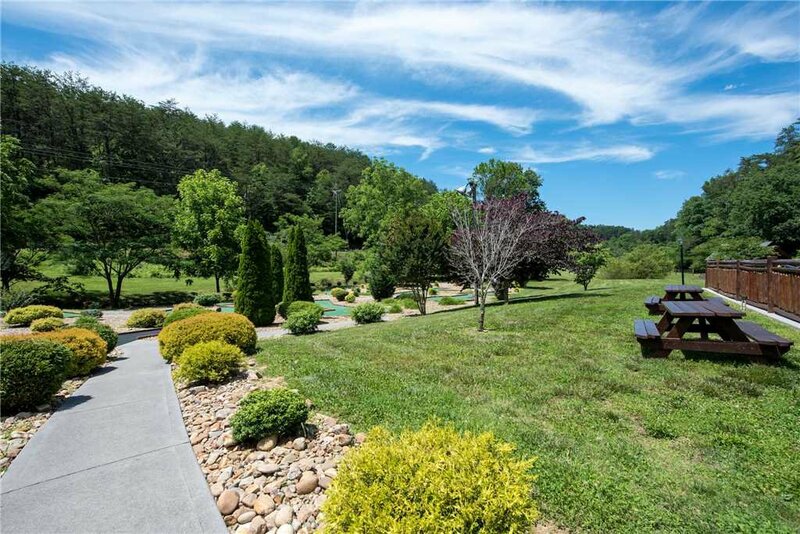 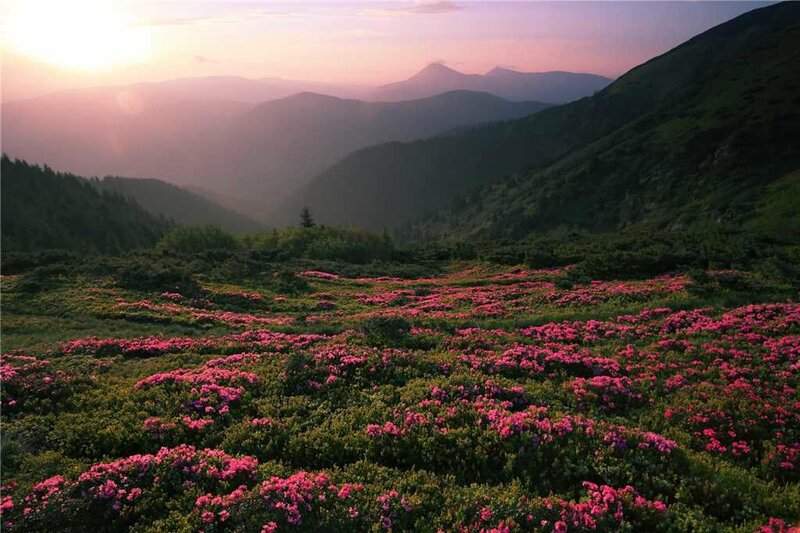 Appalachian Dream is located in the gated Bear Creek Crossing community. 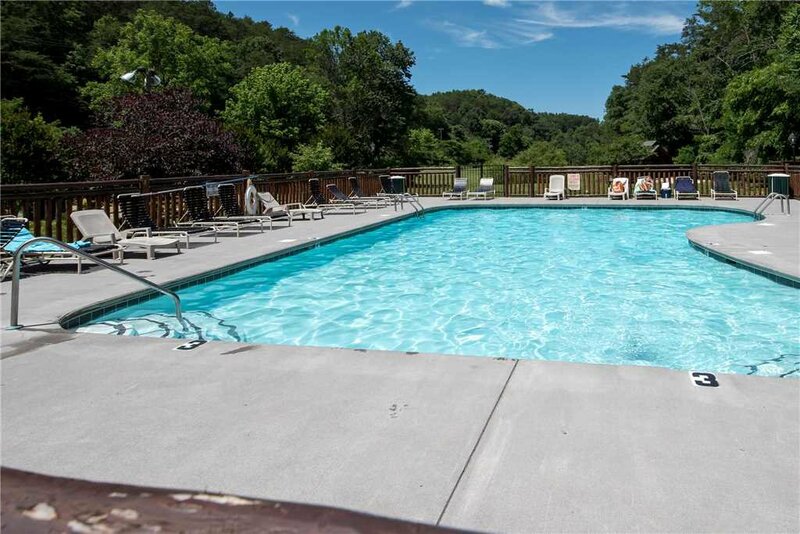 When you stay here, you can swim in the outdoor pool throughout the summer, then bask in the sunshine on a poolside chaise. 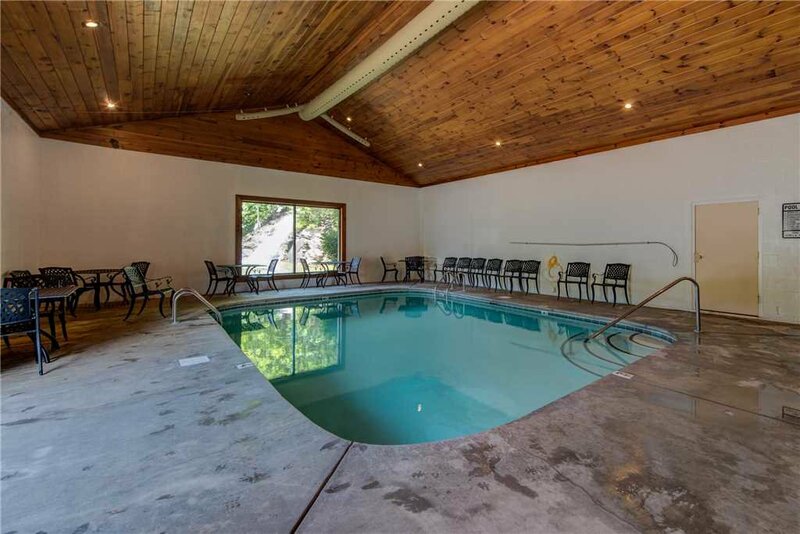 There’s also an indoor heated pool so that you can swim and splash year-round. 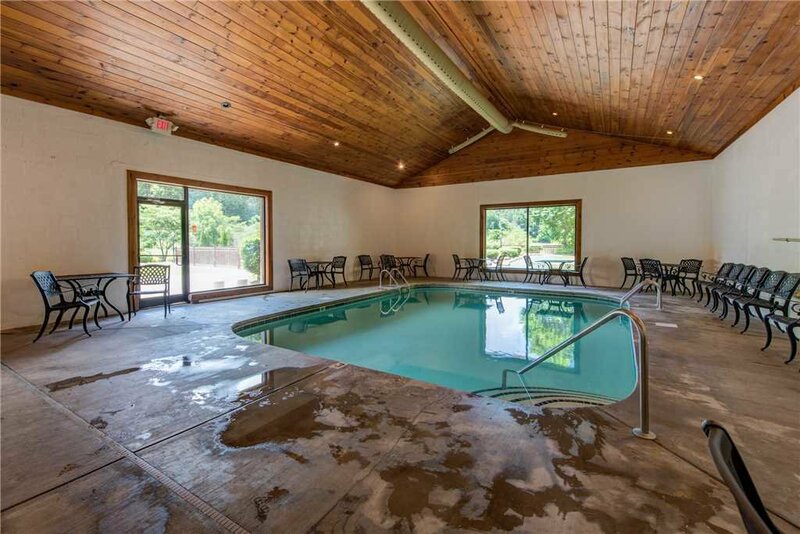 Another benefit of staying in Bear Creek Crossing is its convenient location. 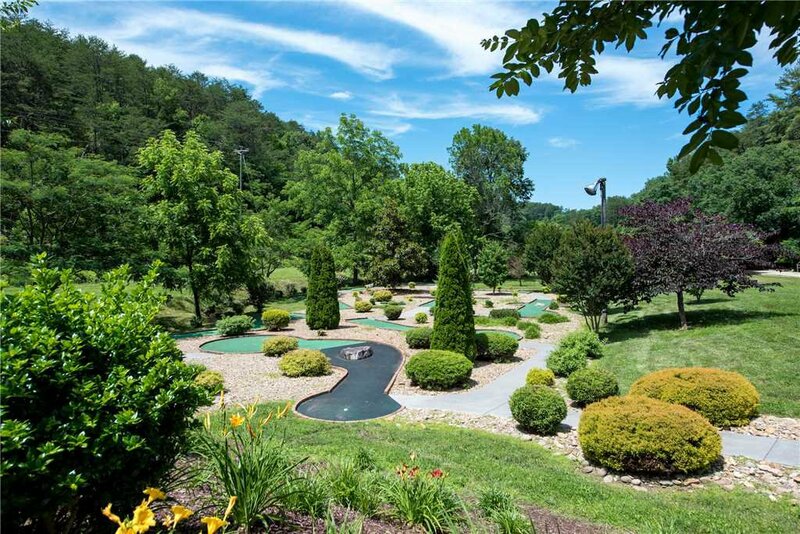 Less than 15 minutes from Appalachian Dream is the Pigeon Forge Parkway; its attractions include the WonderWorks educational entertainment center, the Alcatraz East Museum, amusement rides, go-kart tracks, mini golf, and dinner theaters. 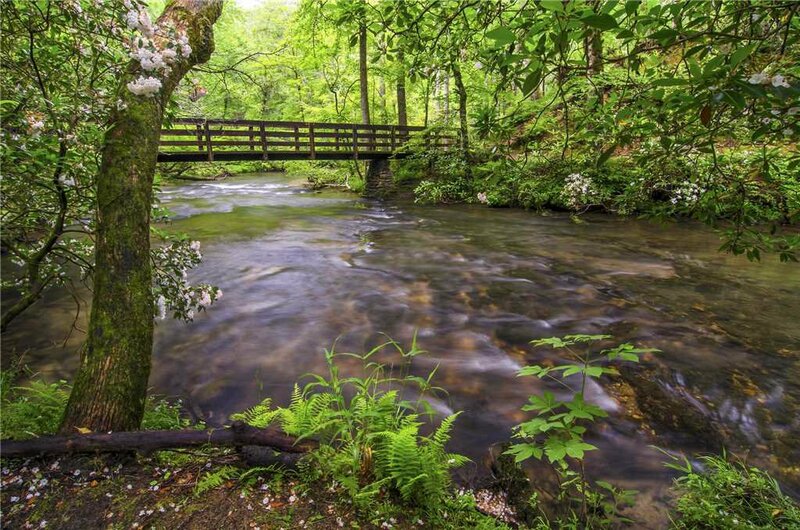 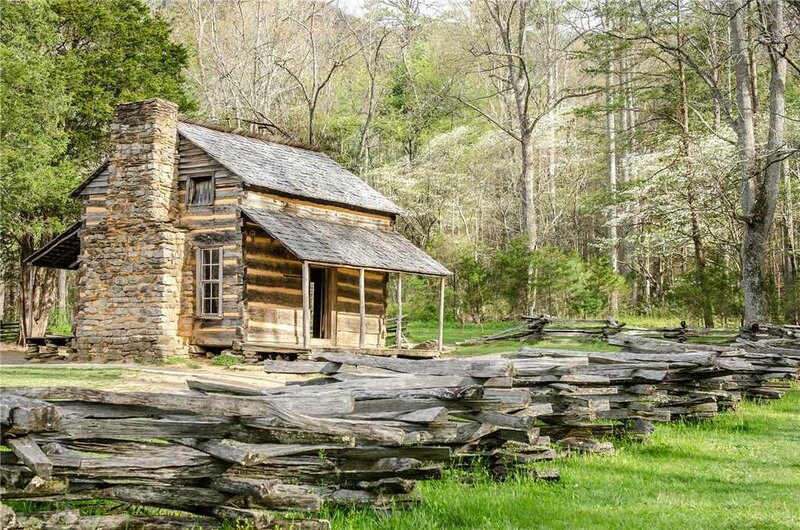 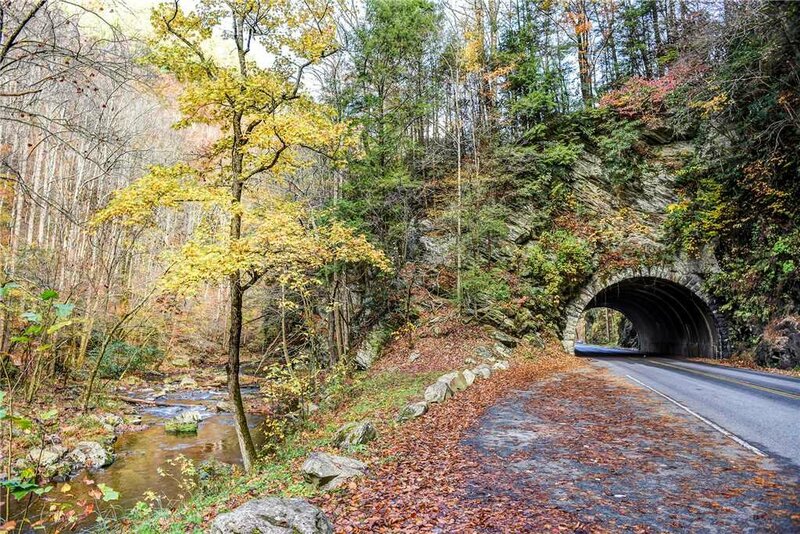 In 20 minutes you can drive to Dollywood or the Great Smoky Mountains National Park. 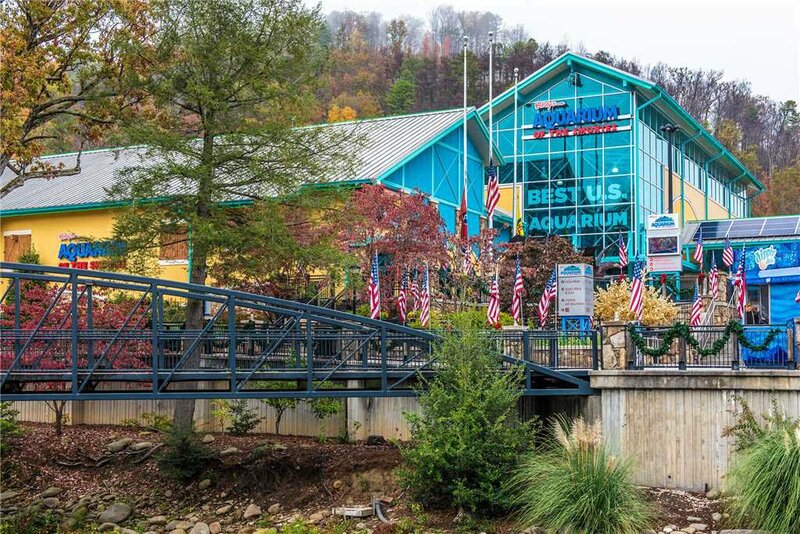 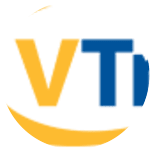 And in just a half-hour you can be in downtown Gatlinburg, home to Ripley’s Aquarium of the Smokies, the Guinness World Records Adventure, the Anakeesta theme park, and a tram that carries you over the town to Ober Gatlinburg Amusement Park and Ski Area. 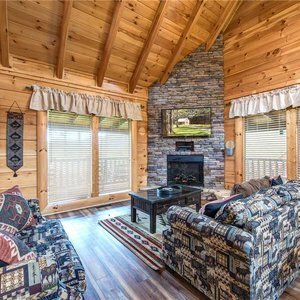 Ready to make your dream vacation a reality? 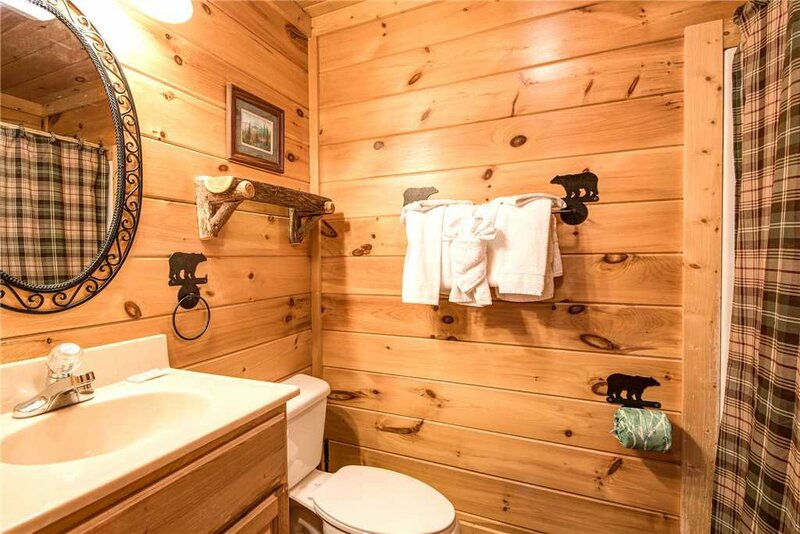 Then book your stay at Appalachian Dream today. 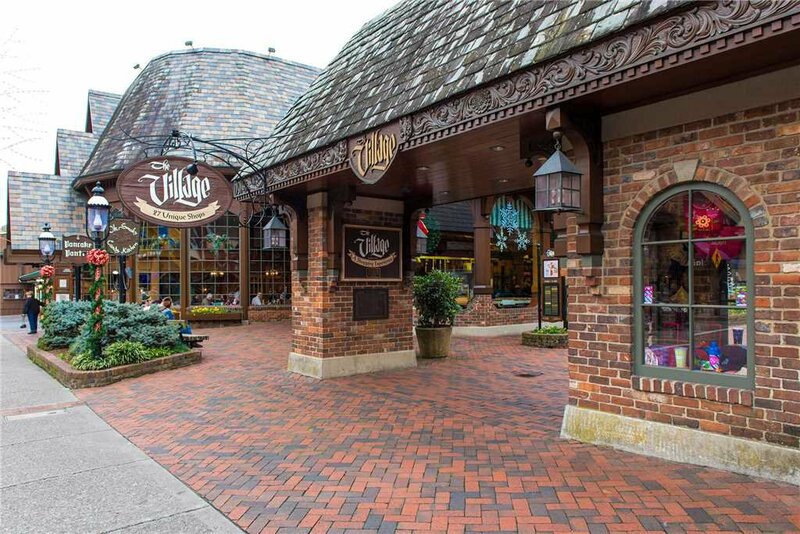 We’re looking forward to seeing you.